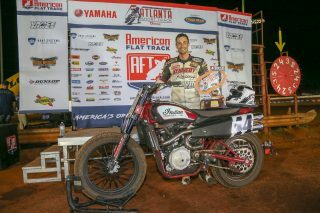 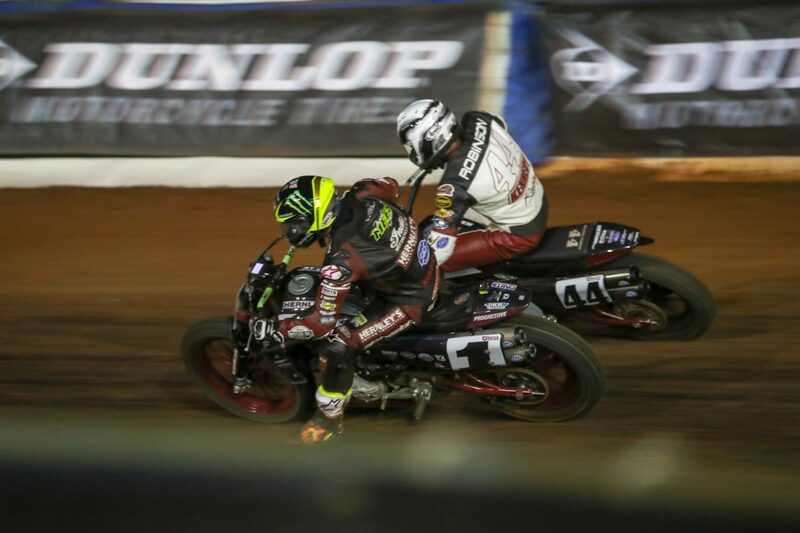 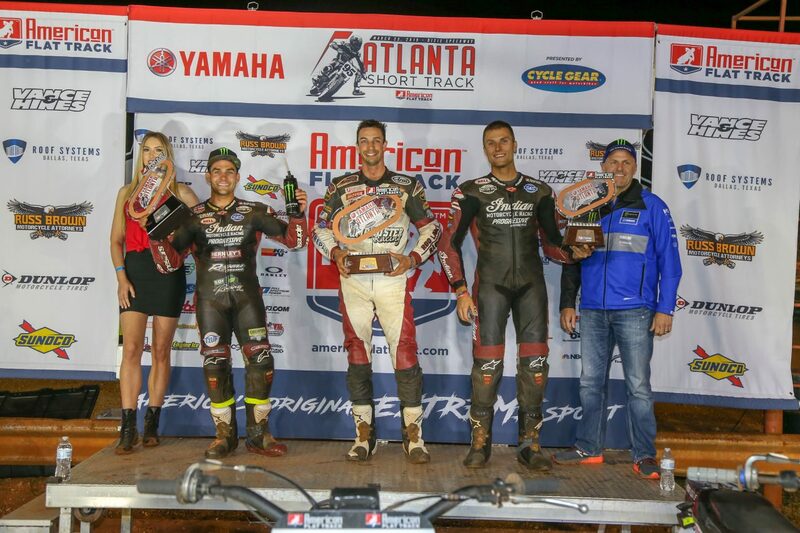 WOODSTOCK, GA. – Indian Motorcycle Racing, presented by Progressive Motorcycle Insurance, showcased dominance once again, as the FTR750 swept the Atlanta Short Track podium. 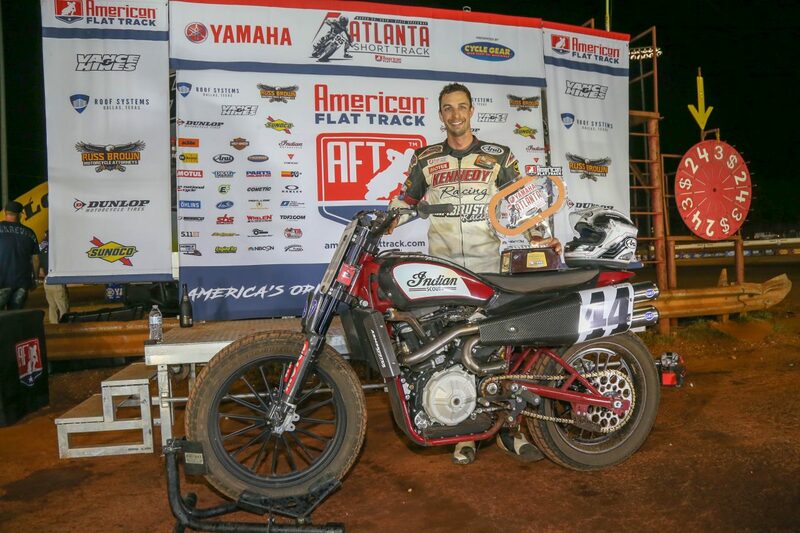 In his first year piloting the FTR750, Indian Motorcycle Privateer Brandon Robinson (Kennedy Racing/Armbruster Racing Indian FTR750) secured his first win since 2016. 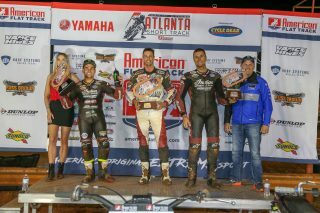 Alongside Robinson, Wrecking Crew Riders Jared Mees and Briar Bauman rounded out the podium, finishing second and third respectively.